With 7 league games from now up to and including the return QPR fixture on New Years Day, there's a huge opportunity to get to 30 points and virtual safety by the time the 3rd round of the FA Cup comes along. Games like QPR (and to a lesser extent Palace) are the kind where you'd hope to win but aren't going to be the kind of matches where you can just turn up and that's enough. 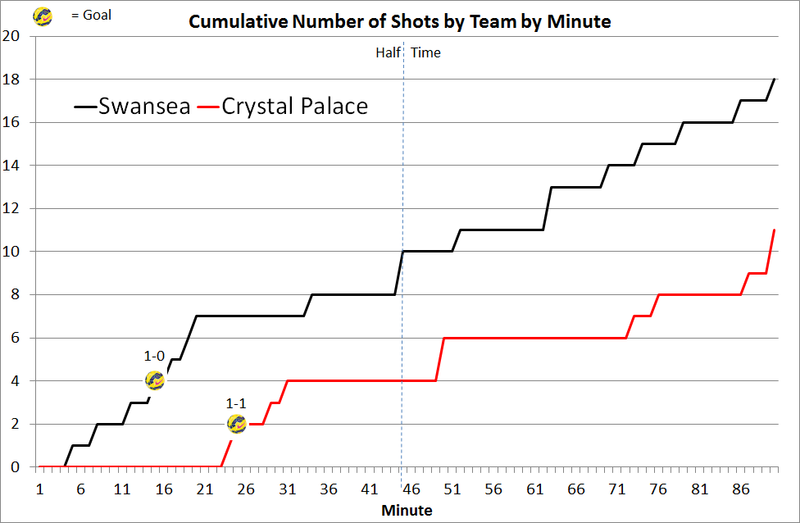 The first 20 minutes or so saw a range of great chances but only 1 goal for the Swans, where against Burnley earlier in the season, 1 was enough, thanks to Shelvey's challenge it was only good enough for a draw. Despite only gaining a point, there were a number of great chances created and if Gylfi and Bony are on form, we should have the ability to open up a 11 point cushion over QPR who at the weekend against Leicester took part in a game which had 51 shots, the most since Opta started collecting data in 2006. QPR had 32 of these and in patches look a threat going forwards even if their defence looks wobbly. That said, I'll be nervous each time Stephen Caulker comes up for a corner given what happened last season.